The lodge, purchased by the Daniels in 2010, has been fully refurbished and out fitted for modern living since the building's humble beginnings as a Methodist Church. The expansive main room features game tables, flat screen TV and full kitchen, perfect for private parties & receptions. The ground floor features laundry and two full bathrooms for men & women, including rain shower heads and multiple stalls. 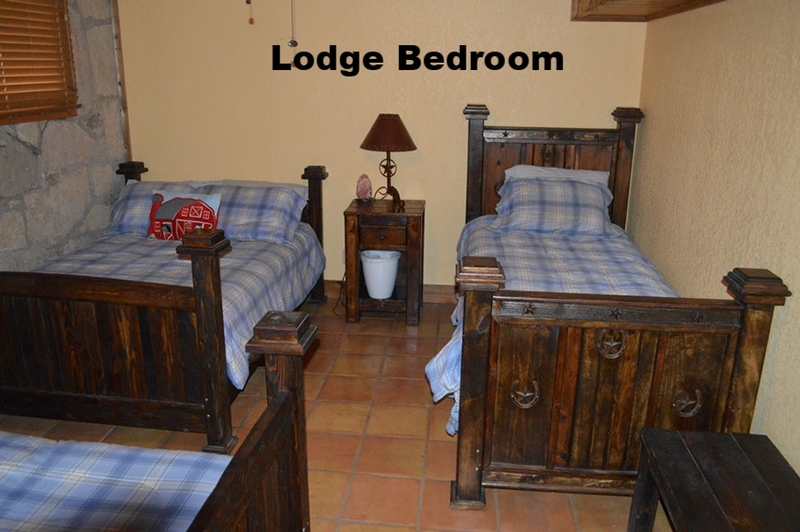 Downstairs, you'll find five individual bedrooms with bunk beds, twin beds and queen beds, depending on the room. This historic building still houses the old vault from The Bank of Truscott and also serves as the office of The Circle Bar Ranch. The building has one queen bed and two twin beds, a kitchenette and a fully-remodeled bathroom, accommodating small parties of up to four. 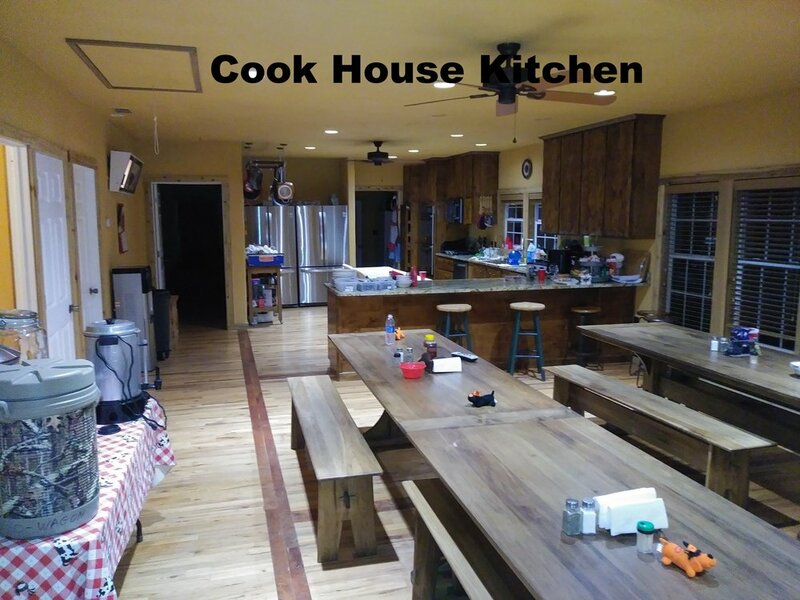 Located just across the street from the Lodge, the Cookhouse is a smaller building that boasts a gourmet kitchen including two ovens, two refrigerators and a standing freezer. The main room is lined with tables to accommodate the hunters and cowboys who gather to dine here three times a day. There are three bedrooms and two bathrooms located in the cookhouse, making it perfect for a small hunting party. Hunters and cowboys gather to dine here three times a day, so it is often the social gathering spot on the Ranch. The smallest building of the Circle Bar lodging options, the Bunk House is perfect for a small hunting party. With a one room, open floor plan, it has two bunk beds, a full kitchen and a full bathroom.